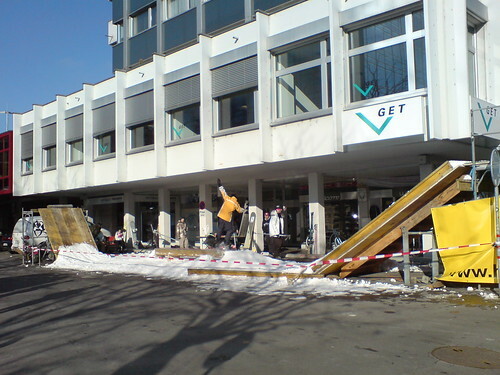 This weekend there was a City Rail Contest near my home, in the middle of town. It wasn't snowing, but snow was needed for the snowboards and skis. So the snow was transported by a truck. 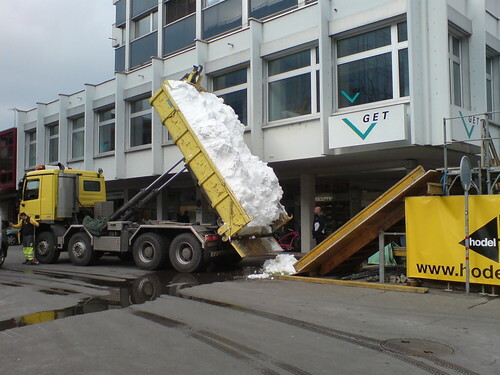 It's a little crazy to transport snow into a town and to pour it on the sidewalk, but fortunately they didn't need to carry it a long way, because some kilometers outside of Zug there was plenty of snow. The next day, the rails were ready to be grinded.